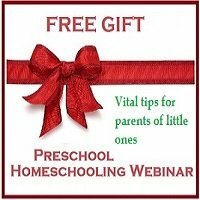 Tips for developing early math skills in preschool children. 1. 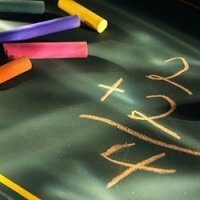 What is Preschool Math? 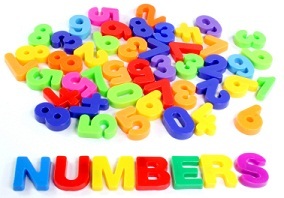 Children learn to recite numbers quite early. This is useful as it teaches them about order, but it does NOT mean that they understand what the numbers mean. First children need to understand that one object goes with another object when you are pairing - cups and saucers, knives and forks etc.Then, they need to learn that one number goes with one object when counting. You can help even very young children to learn to recognize numbers by pointing out those around you. Make a number poster or book. You can help with forming numbers by writing numbers for your child to trace or use the Free Printable Number Worksheets on this website. Children need to understand that 4 objects are 4 objects no matter how they arranged. This is an important stage of understanding the meaning of numbers. Making patterns with the same amount of objects can help your child to recognize small amounts instantly. Understanding that objects can be put into sets is important for counting and for later maths skills. Activities - play games where your child has to spot the odd one out eg. Categories of food, toys, vehicles, buildings etc. You could create a scrapbook with magazine cuttings to reinforce this concept by creating a page for each category. Children need to understand that you can measure objects and distances in two ways: direct comparison by comparing objects side by side, such as standing back-to-back to see who is the tallest or comparing ribbons side-by-side to see which is longer. Sometimes this method is not possible. For example, you can't take a carpet from a shop to see if it will fit a room in your house, so then you need to measure it. This is why we have standard units of measurement like feet, inches, centimetres and metres. You can also measure curves using these units. Use a piece of string to measure the curved object and then measure the string with blocks, for instance. Estimating is a very important skill, for measuring and for Math in general. In every day life we estimate all the time. Talk about this with your child: "Is this enough milk for your cereal?" "How much paper do we need to wrap this present?" If a child can estimate answers to calculations he or she is less likely to make glaring errors. 1. Counting objects - 2 ladybugs plus 3 more ladybugs is 1,2,3,4,5 ladybugs. 2. Counting on - 2 ladybugs plus 3 more ladybugs is 2...3,4,5 ladybugs. 3. Counting on from the highest number - 2 ladybugs plus 3 more ladybugs is ...3,4,5 ladybugs. 4. Counting on fingers - If your child does this, she knows that the answer will be the same whether you count fingers or ladybugs! 5. Knowing number facts - She knows that 2+4 is always 6, so she doesn't need to count objects to check. These number facts are also known as number bonds. Difference - "I've got 2 buttons, she's got 5 so she's got 3 more than me!" Difference can be found by counting on. Activity - play 'grab the biggest pile' of raisins, buttons, pebbles, candy, then lay out two lines to see who won. Count to find the difference. Taking away - "I had 8 biscuits and I've eaten 2 so how many are left?" This is a more difficult concept. Activity - Make some ladybugs and hide some under a flowerpot: there were 6 and now there are 3 so how many are hiding? Watch and listen to find out how much they already know and what they need to learn next. Let them try things out. Praise them. It is very important that you congratulate your children when they have done something well. Also try not to criticize when they make a mistake. We all learn from mistakes so help your child see errors as a positive thing too. Praise your children for their effort not just their successes. Provide pens, paper, rulers, scissors and materials to count and measure. Helping them with math does not have to cost much. 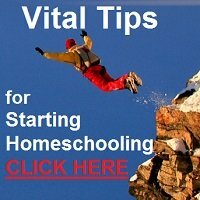 You can do it without expensive and fancy computer or electronic skills. Trust me - your children WILL learn to use a pc without effort in due course! At this early age, your time spent with them is more important. YOU are your child's first teacher and the person who can give him or her the most love and attention.